While USD declined due to Yellen’s speech, Trump’s comments supported this currency and helped it grow. 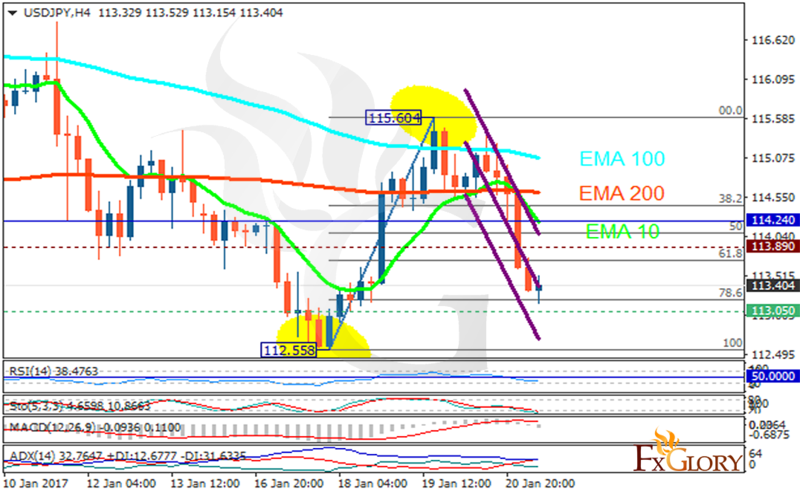 The support rests at 113.050 with resistance at 113.890 which both lines are below the weekly pivot point at 114.240. The EMA of 10 is moving with bearish bias along the descendant channel but it is below the EMA of 200 and the EMA of 100. The RSI is rising towards the 50 level, the Stochastic is moving in low ranges and the MACD indicator is in neutral territory. The ADX is showing a sell signal. The price has passed the 61.8 level of Fibonacci retracement therefore it may start its growth soon. Long positions are recommended targeting 116 area.